Many EnMart customers are already familiar with our QuickStartR package, featuring the Ricoh GX e3300N printer, or with the Ricoh GX 7000 which is a production grade printer. These printers are great options for sublimation shops, with reasonable price points and smooth operation. This summer, EnMart is going to make the Ricoh platform even more attractive with a special offer on ink. Between 6/1/2011 and 7/31/2011, EnMart is offering one FREE ink cartridge with a first re-order of CMYK Sublijet-R or ChromaBlast-R sublimation ink. 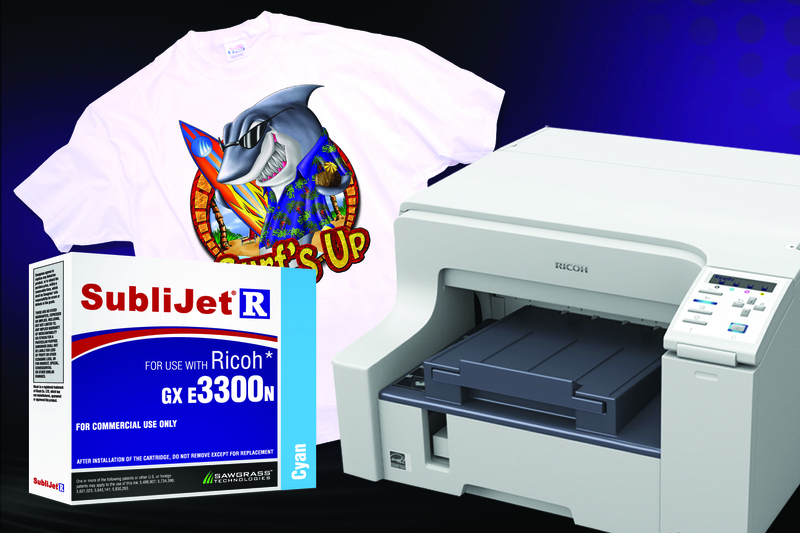 To qualify, customers must purchase a Ricoh GX e3300N or GX7000 Printer with either a full set of SubliJet-R ink cartridges or a full set of ChromaBlast-R ink cartridges. Once your initial order has been placed, you will receive a coupon for one Free ink cartridge with your first reorder of a set of CMYK ink. The coupon must be redeemed by 12/31/11. Offer is available only in the United States and Canada. The Ricoh platforms are now available for both Windows and Mac operating systems, so there’s never been a better time to get started with sublimation. The Free ink offer expires on 7/31/2011, so get your system ordered today!